Reducing SDS-PAGE gel showing purified Norovirus VLPs, showing protein migrating as a band of approximately 60kDa. 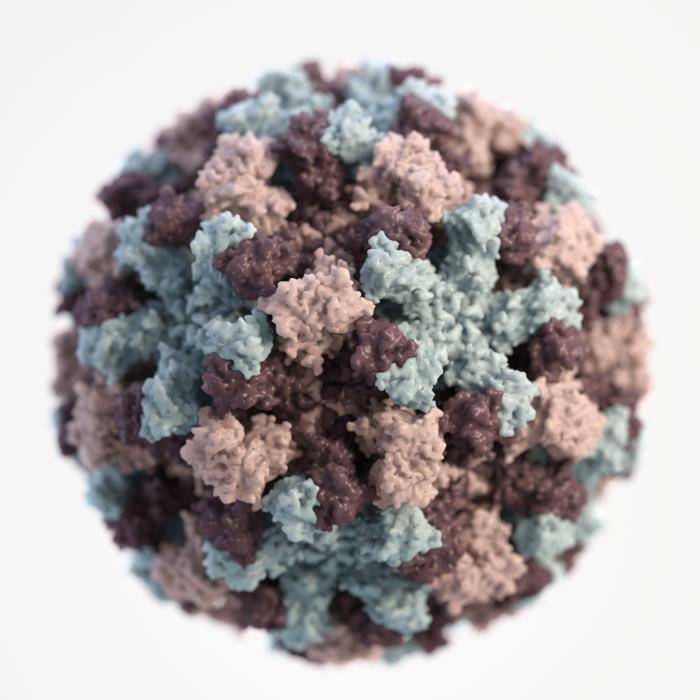 Norovirus VP1 protein is the capsid protein of Norovirus. It is a 59kD glycoprotein with three key domains. The shell domain (S domain) contains elements essential for the formation of the icosahedron. The Protruding domain (P domain) is divided into sub-domains P1 and P2. P domain interacts in dimeric contacts that increase the stability of the capsid and form the protrusions on the virion. 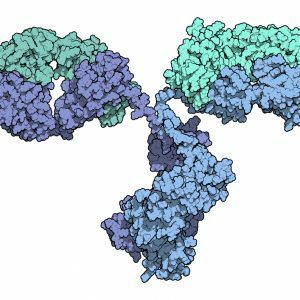 An hypervariable region in P2 is thought to play an important role in receptor binding and immune reactivity. The Norovirus VP1 protein self-assembles to form the Norovirus virion, containing 180 copies of the protein. 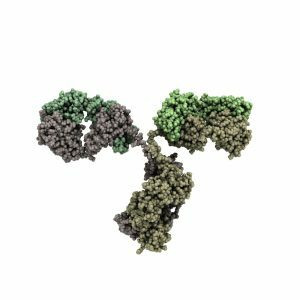 The Native Antigen Company produce VP1 protein in a mammalian cell expression system, which produces intact virus-like particles (VLPs) of very high purity. 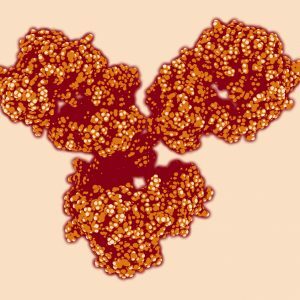 These VLPs are suitable for studies of VP1 structure, and also as potential targets for serological assays.